My medium is wood, and my approach to sculpture is one of restraint and discipline. I have chosen to limit my medium to this material and limit my studio to a relatively simple set of tools. The sculpture pieces are typically a combination of construction and carving. The structures are carpentered and joined, often with an armature holding the composition in place. There are many hours of work where the forms are being built, and taken apart to carve, and reassembled. In this process of building, carving, and unbuilding, unexpected pieces will emerge. Each piece starts with a sketch or a wire model, but in order for each work to be successful, something surprising and unexpected must be discovered along the way—giving way to an unscripted object. Within these guidelines, I have found a deep and concentrated way of exploring sculpture. The grounding sense of place that the studio provides is also paramount to my process. Within this controlled environment, I feel the freedom to take risks. Christopher Kurtz was born in 1975 and grew up in Excelsior Springs, Missouri. He studied sculpture at the Kansas City Art Institute (1994–95), landscape architecture at the Harvard Graduate School of Design Career Discovery Program (1998), and received a BFA in sculpture from the New York State College of Ceramics at Alfred University in Alfred, New York (1998). After college, he went to work as the studio assistant to artist Martin Puryear. 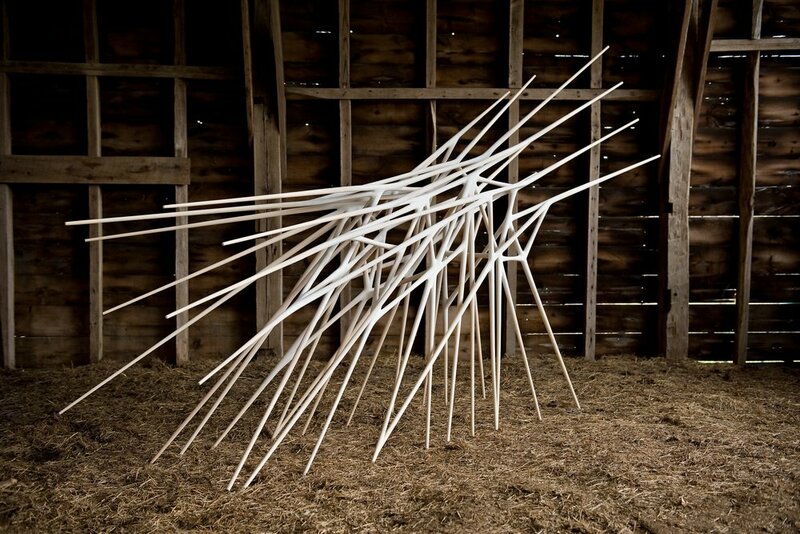 While working with Puryear, Kurtz refined his woodworking skills and began maturing as an artist. In 2005 Kurtz set up his own studio in the Hudson valley of New York State. Kurtz has always had a passion for furniture and began experimenting with some designs. In 2008, he expanded his studio practice to include furniture design in addition to sculpture. Kurtz has gained international attention for his sculpture and studio furniture and is included in several public and private collections. He exhibits regularly both solo and in group shows. He has been included in traveling museum exhibitions including Against the Grain: Wood in Contemporary Art, Craft and Design at the Museum of Arts and Design in New York City, and at the NSU Art Museum in Fort Lauderdale, FL. Kurtz has received numerous grants and awards, including the prestigious Louis Comfort Tiffany Award in 2005, and in 2007, he received a New York Foundation for the Arts Lily Auchincloss Fellowship. Kurtz currently lives and works in Kingston, New York.